"A mouse took a stroll through the deep, dark wood"... 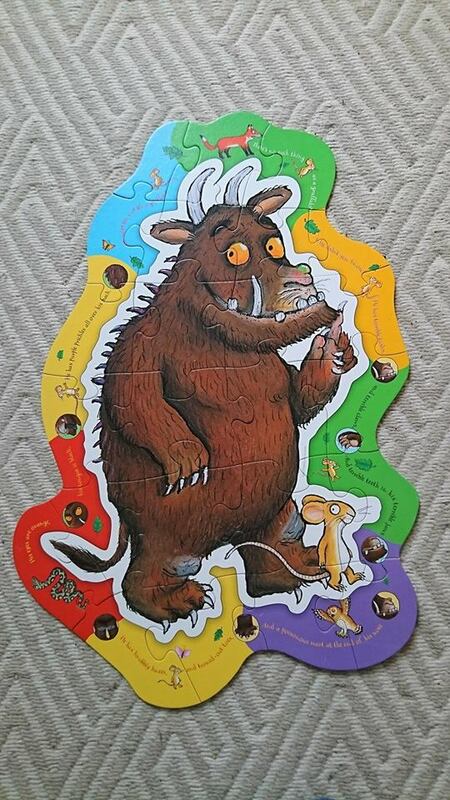 I'm sure everyone is familiar with the classic Julia Donaldson book 'The Gruffalo', even if you aren't a parent! It's been one of my children's favourite books since they were babies, followed by The Gruffalo's Child, they love watching the animated shorts and even have a Gruffalo costume. 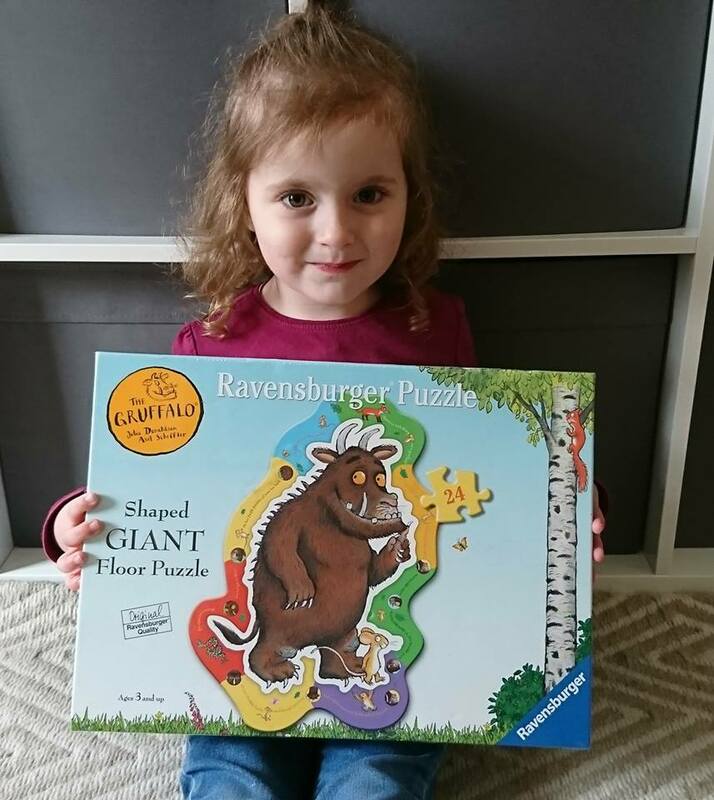 You can imagine their excitement to see that Ravensburger had sent them a Gruffalo puzzle to try out. The puzzle itself has 24 pieces and is perfect for children aged 3+. My children are 3 and 5 so they were able to do it together with minimal help from me. The pieces are about the size of my palm so great for my daughter at 3 who is just starting out with puzzles but not too easy that my 5 year old got bored. In true Ravensburger style, the finish of the pieces is fantastic and it's well-made. 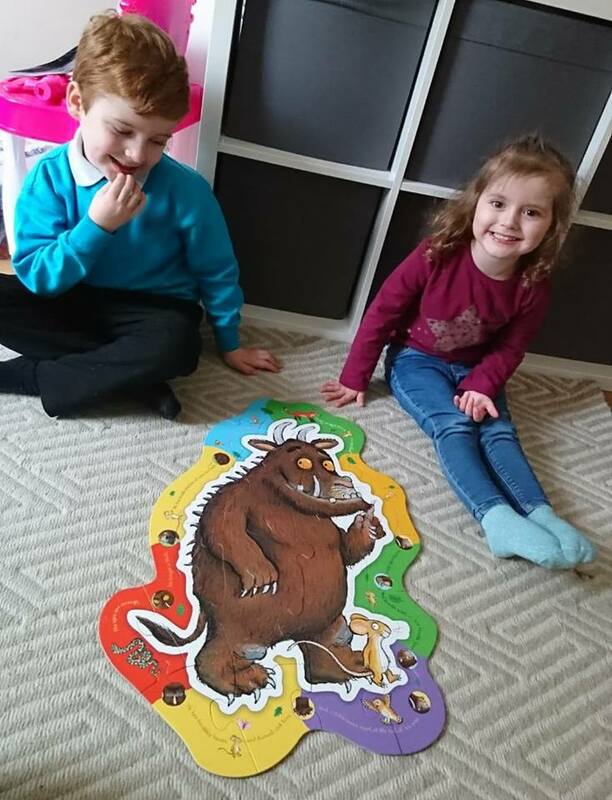 The fact that the finished article is shaped like the Gruffalo rather than a traditional rectangular puzzle just added to the fun. Both children loved seeing their favourite character come to life with the more pieces that they put together and liked the addition of other characters from the book such as snake, mouse, fox and owl. 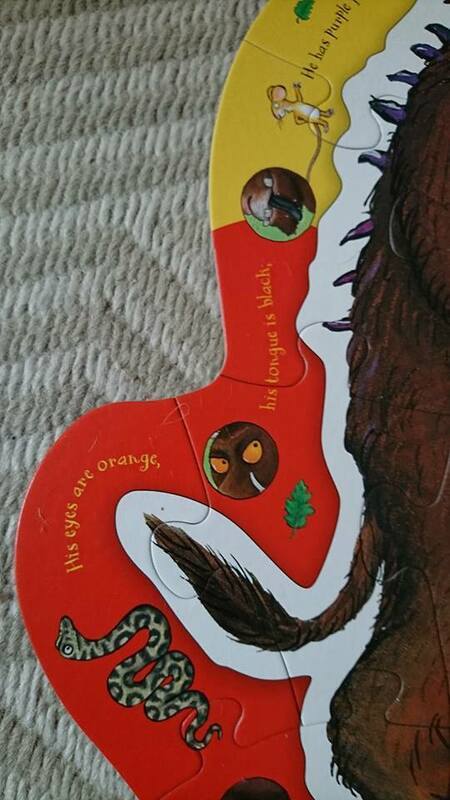 My five year old son is a fantastic reader so one of the little details that he specifically liked were the lines from the book on the colourful border around the Gruffalo. He loved being able to read it in full when the puzzle was complete. 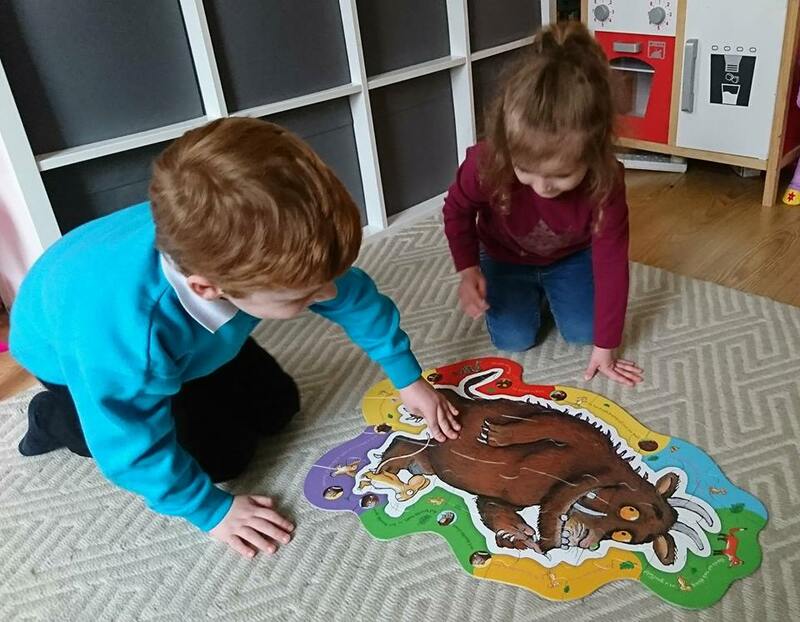 The Gruffalo Shaped Floor Puzzle is so much fun, it's bright, colourful and perfect for any little Gruffalo fans - the finished image is like it's been plucked straight out of the book! It retails at £9.99 from all good retailers.